Toyota’s slogan for the Yaris (in the US) is, I kid you not, “It’s a car!” And I’d like to congratulate Toyota on this incredibly accurate representation of the Yaris as an object. It is, in fact, a car. Just barely, I might add, but it still meets all of the necessary qualifications. The 2014 Yaris sedan is a refresh of the immensely popular last-generation Yaris sedan, which for some reason is the preferred body style in the Middle East as well as in America. Come on people, hatchbacks are just better when it comes to cheap cars. So, in the style of a Jalopnik review, I decided to give the Yaris an evaluation of its own to find out if it is, indeed a “car” as Toyota claim. 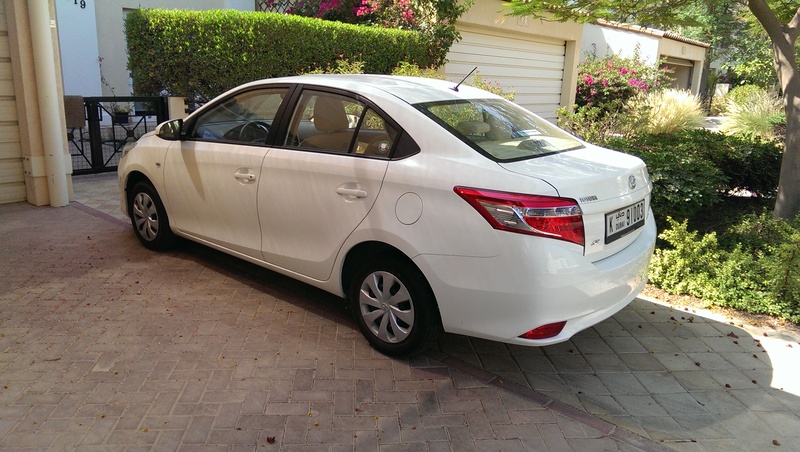 Let me put it this way: over the last month, we have driven this car to a variety of places all over the UAE, and parked in a variety of large parking lots. Not once has any one of us been able to find the car on the first try. This is partially due to the fact that it is white, like 110% of all cars in this country, and partially because there are a million other Yaris’s (Yarii?) in the same parking lot. It looks completely anonymous, which is fine for those who couldn’t give two wags of a camel’s tail about their mode of transportation, but for this gearhead, that just won’t fly. However, it earns 3 points solely for the fact that the front fascia reminds me of an angry chipmunk, and that makes me smile. 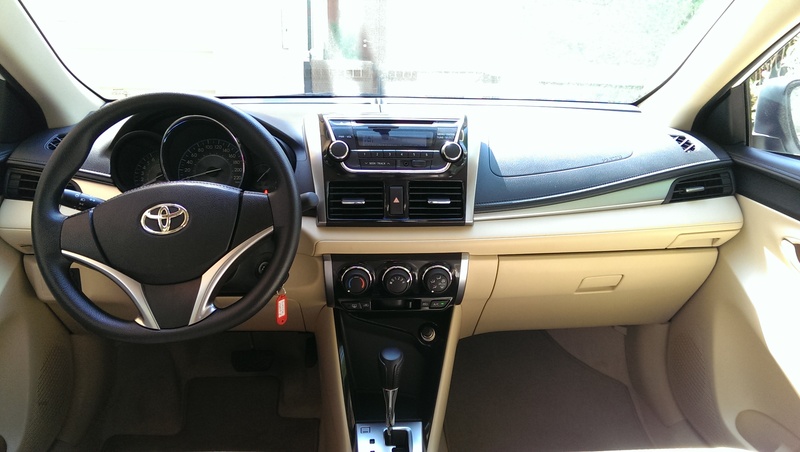 The interior is where the Yaris makes up for lost points. While it is a sea of hard plastic, Toyota has clearly tried very hard to make it look like soft-touch plastic, or even leather. I had to push my fingers on several different surfaces to make sure it was, in fact, hard plastic. And though our example is a sea of white externally, the interior is a good-looking combo of black and tan, which is admittedly my favorite look for almost any automotive interior. The Yaris is also surprisingly roomy inside, with more than enough space for human beings with legs to fit comfortably in the rear. The seats aren’t bad either. Oh boy, here we go. Or rather, here we don’t go. The Yaris is motivated (not very highly) by a 1.5 liter 4 cylinder, pushing out 107 horses and 104 lb-ft of torque. But with the air conditioning on high in the 110+ degree daytime sun, it feels like much, much less. I’m not sure of the exact time, but it takes well over 10 seconds to hit 100 km/h (as there is no mph reading on my rental). This can be difficult on the 8 lane highways of the UAE, when there is 60 km/h difference between the lane you are in, stuck behind an Afghani trucker or a laborer in an old Nissan, and the lane to your left, occupied solely by excessively-speeding expat moms in Range Rovers and… laborers in old Nissans. The good news is that the Yaris is, in fact, able to come to a stop. The bad news, is that you’re not entirely sure when that will be. Honestly, I think this car has a built in program to change the brake feel every time you turn it on. There is one consistent factor however, and that is that there is about a full inch of pedal travel before the brakes kick in at all, and then, upon passing the threshold, the econo car gods release the holy flood of brake grab upon you, the likes of which even Noah couldn’t have survived. Luckily, being such a light car, the Yaris does come to a stop fairly quickly. This is another area in which the Yaris performs well, and to the average car buyer this is a godsend. I’m not sure if my positive perception of the Yaris’s ride is due to the fact that I have spent most of my time here being driven in a Wrangler over the highest concentration of speed bumps on the planet, or if it really is that good. But frankly, the ride is actually quite nice. There’s no excessive jolting while traversing bumpy roads, nor are there any unsettling creaks, cracks, or shimmys. It has been utterly comfortable over the course of its stay with me. While I haven’t been able to “give it the beans,” per se, in the handling department, I have taken it through quite a few roundabouts at speed, and frankly, the Yaris is not terrible. It’s not good, either, but it does usually go where you point it, and there isn’t an excessive amount of body roll upon cornering, so alas, 4 points. 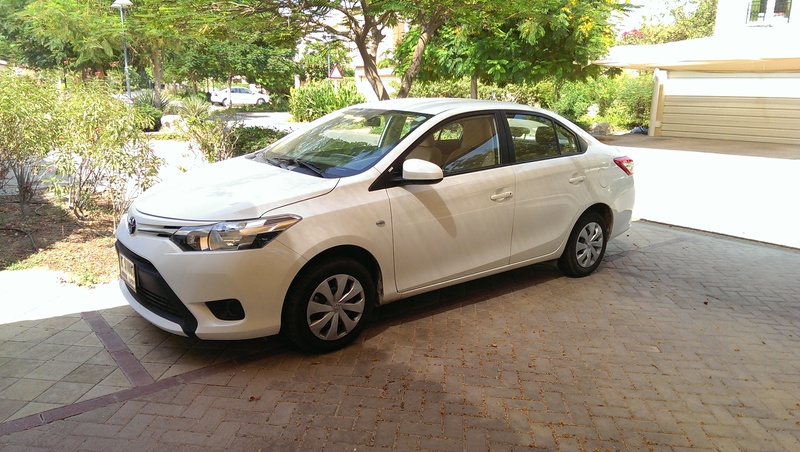 The Yaris SE is equipped with a 4 speed automatic transmission, seemingly from the mid 90s. It holds gears too long, has one speed too few, and there’s enough time to break for shawarma between shifts. Standing hard on the accelerator is quite amusing though, because there is a whole lot of racket and next to no actual acceleration, followed by a chorus of “come on, come on!” from all occupants. And then you get rear-ended by a laborer in a Nissan. It has a stereo with an auxiliary input, which is nice, but it isn’t 2005 anymore. Additionally, I couldn’t help but be disappointed that there wasn’t a “Party Mode” button like on the newer 4Runners. I know it doesn’t do anything significant, but who doesn’t want Party Mode? As for the engine note, it sounds fantastic… if you’re a fan of the sound of a thousand angry wasps lusting for your flesh inside of an oil drum. Unfortunately, due to the Yaris’s tendency for super long gearing, you get to hear the 1.5 in all its buzzing glory for several seconds every time you hit the highway, of which there are many. This is another area where the Yaris truly falls flat. While it gains a point for having air conditioning and an aux jack, there is literally nothing else to this car. It only has one true cupholder, the other two being flimsy pop-outs that sit directly in front of the side air vents. So in the heat of the Arabian desert, you can choose to bring water and swelter in the heat, or feel the cool air on your face and die of thirst. Pick your poison. And while the lack of features in this car is staggering, the most notable omission from the window sticker has to be cruise control. That’s right folks. You can buy a new car, in 2014, without cruise control. This begs the question: seriously Toyota? Cruise control has been around longer than I’ve been alive, and in a country made entirely of sand, camels, and HIGHWAYS, you sell your most popular vehicle without it?? Unacceptable. Bearing in mind all of its shortcomings, and the fact that it barely passes as what Toyota call a “car,” the Yaris is incredibly cheap. The 1.5 liter SE model that I have been driving retails for under $15,000 and the 1.3 liter S model starts at around $13,000. That’s barely pocket change in the world of new cars. 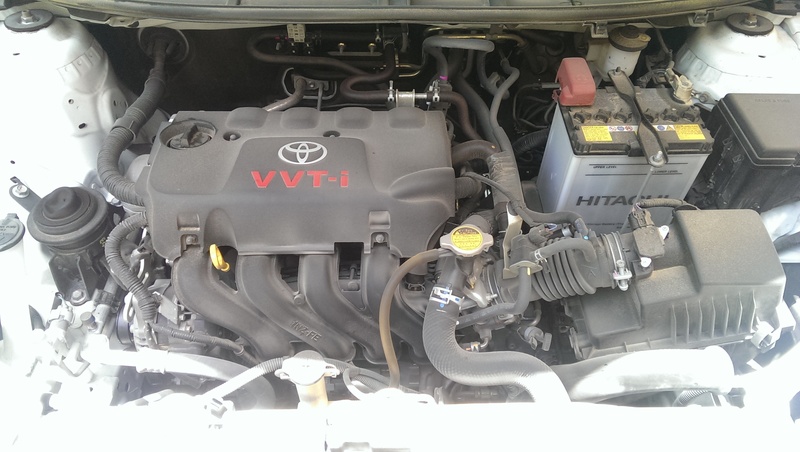 But the glaring lack of features and engineering that hasn’t changed for decades makes this Toyota hard to justify over entry level economy cars such as the Ford Fiesta and Chevy Sonic sedans, not to mention the incredibly cheap Nissan Versa, which are all better equipped and return better fuel economy than the ‘Yota. Growing competition in this increasingly popular segment makes the Yaris seem like even less of a bargain than it is already. Top Speed: 120 km/h because it beeps at you incessantly if you go above that so I haven’t bothered.